Take a trip into outer space and discover a selection of precious stones and jewels in Starburst, our most popular 5 reel classic slots game. This colourful online slot game allows you to match rare gems and lines to win endless free spins and cash rewards. Net Entertainment is perhaps the leading developer of first-class online slot games on the market. After their foundation over 20 years ago, they have become pioneers of the online slot gaming market bringing games such as Starburst, Gonzo’s Quest, and Warlords Crystals of Power. Net Ent is at the top of their game at this present moment and hasn't shown any signs of slowing down as they continue to release top-quality games that keep on gaining the satisfaction of their players. They remain one of the favoured developers here at our slot games online casino site. 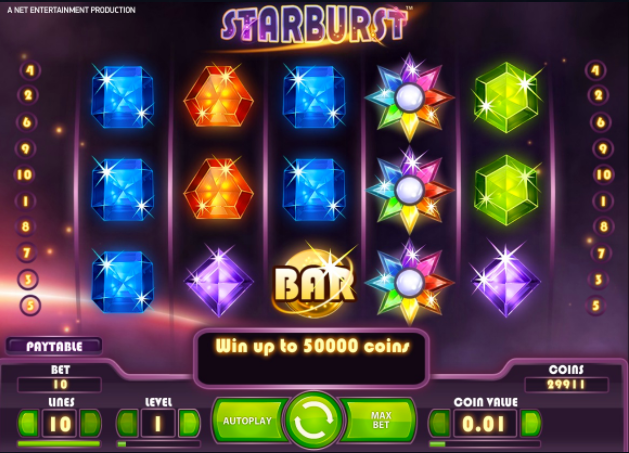 Starburst is perhaps one of the most played games on the market at the moment, mostly because it’s usually the game that is included in most of the welcome offers. However, it would be unfair to say this is the only reason for its popularity. 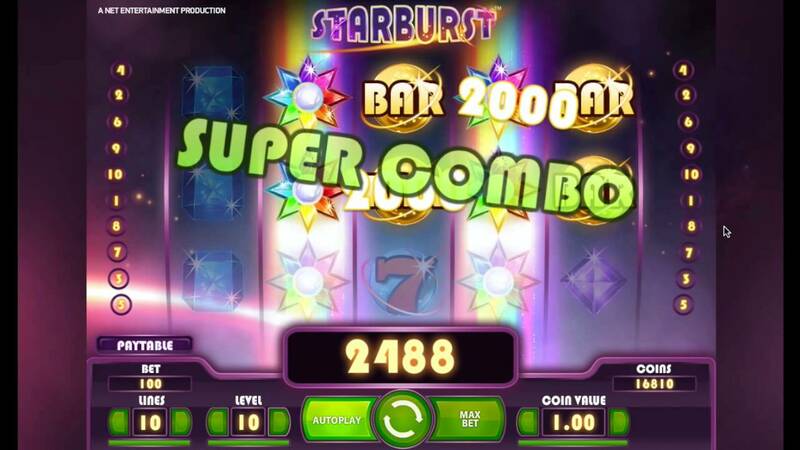 Starburst contains the usual 5 reels, with a simplistic 10 pay lines for you to spin your way through. This game doesn’t have a particular theme or topic that surrounds it with an aesthetic that offers itself as more of a flashy, neon visual spectacle that’s coupled with revolving jewels and stars. The closest theme that it perhaps draws on is that of outer-space. NetEnt have really kept it simple with this online slot and this is perhaps the reason behind its popularity. If you’re looking to gain some familiarity with this game before you place some serious bets, then don’t hesitate to have a few spins on the free spin mode of this game. You’ll be able to learn the skills and logic of the slot before you bet the real money. Starburst hosts a versatile and inclusive better structure allowing gamers to place bets for as low as one penny or as high as £100 per line. Like we mentioned earlier this game is extremely simplistic, however, this shouldn’t be looked upon negatively. What it lacks in complexity it certainly makes up for in quality and this is clear when you analyse the detail that goes into producing the game board and all the symbols that are placed on it. Spin through blue, purple, orange, green, and yellow symbols as well as the ever familiar classic bar symbol that you may remember from fruit machines of yesteryear. In addition, you can enjoy the wonderful sound effects that this game has on offer, however, if you prefer to play in silence or with some other soundtrack then there is a toggle on/off feature available to you. Although simplistic, Starburst wouldn’t be the slot it was without the intriguing bonus features that can be played. 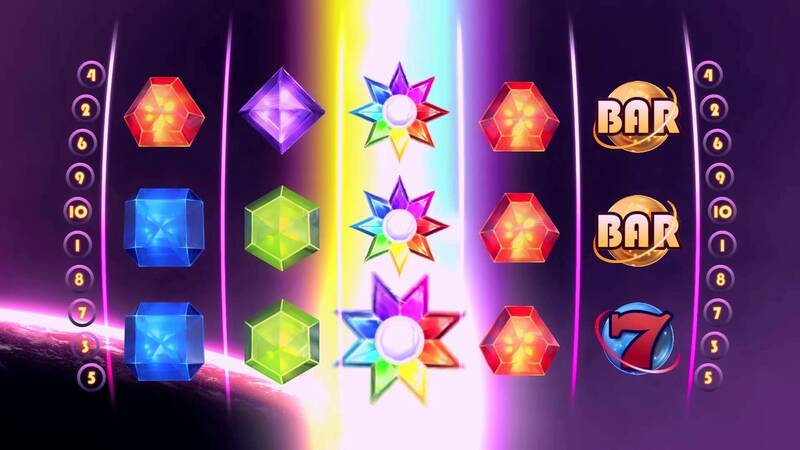 The Starburst symbol is the Wild symbol, this is the one you need to be looking out for, as per usual it can be substituted for any other symbols on the reel apart from the scatter, and in finding the Wild it will enable you to notch up some larger and more rewarding spin combinations. If you’re used to the more complex and pay line heavy online slots then you may be wondering where all the additional symbols and opportunities to win are hiding. In respect of this, fewer symbols on fewer pay-lines translate to a more condensed gameplay, in other words, you have more chance of matching winning combinations and gaining those cash rewards and prizes. 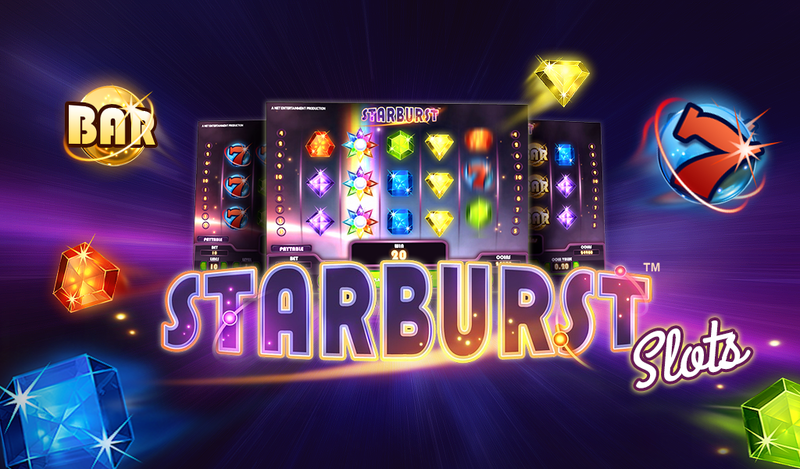 This allows the gamer to strive for huge jackpots and perhaps it’s this that gives Starburst a subtle edge. 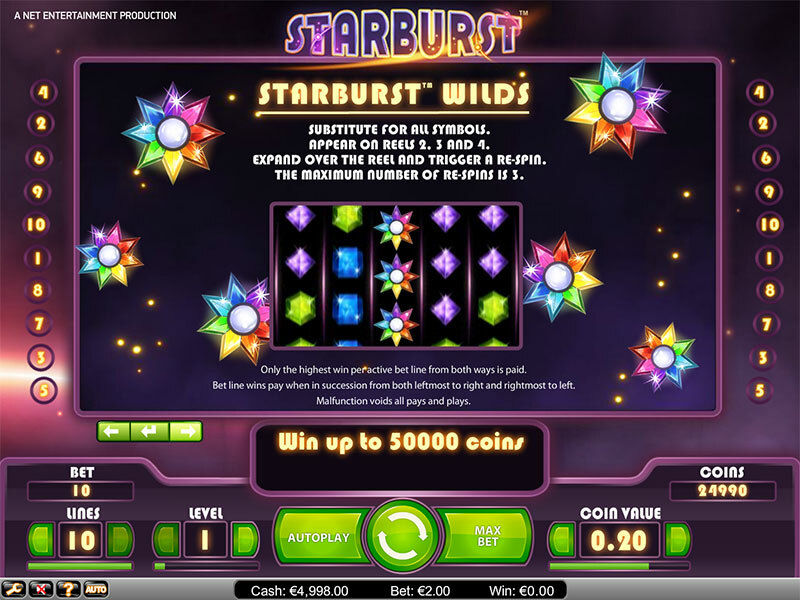 NetEnt has done a great job when they developed Starburst, it was clear that they saw a gap in the market for a high-quality yet simplistic 5 reel online slot game that does exactly what it says on the tin. This is a game for both experienced and relatively new gamers on the market and offers a perfect entry point to cut your teeth in the online gaming world. Easy Slots rates this game extremely highly and If you enjoyed Starburst you might also like Aloha online slots game.